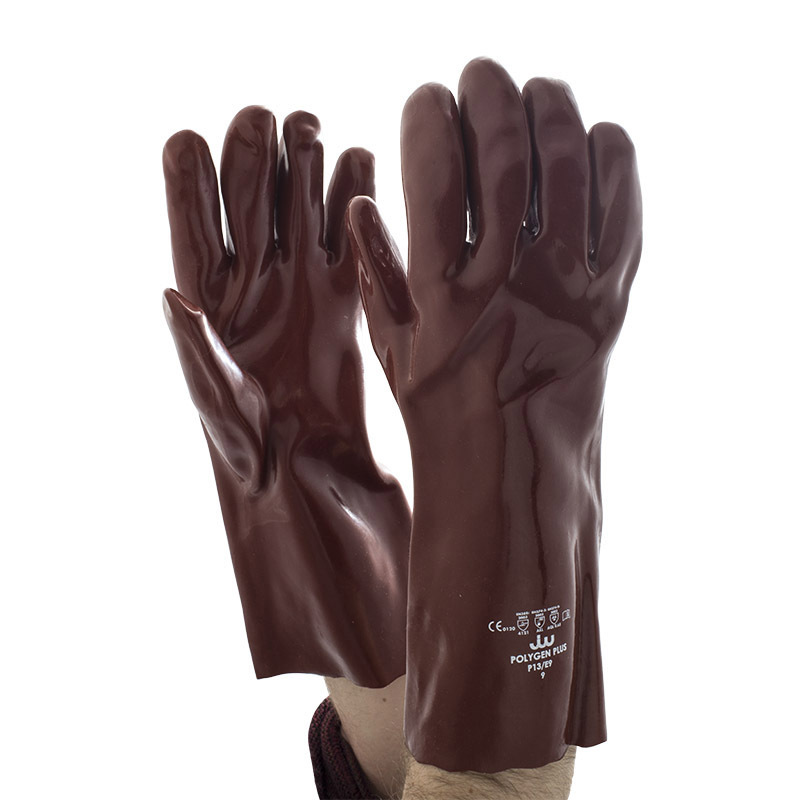 The Polyco Polygen Plus 35cm Fully Coated PVC Gloves P13 offer good levels of protection against a variety of different chemicals. Complete with a 35cm forearm for extra protection, these gloves are dexterous, versatile and highly resilient, meaning they prove useful across a range of industries where chemical protection is necessary. The Polyco Polygen PVC Gloves are available in three sizes that should suit the hands of most users. Please measure the circumference of your hand around the knuckles (excluding the thumb) with your hand open and your fingers together, and the length of your hand from the tip of your middle finger to your wrist.